This series of high mountain lakes is located about an hour and a half from Denver. It is nestled in the Rocky Mountains under the snowcaps of the Continental Divide. This amazing backdrop provides incredible mountain scenery for your Colorado fly fishing guide trip. Along with the amazing scenery there are several lakes (7 acres, 3.5 acres, and several smaller lakes). They are all full of beautiful brook trout from 5-15 inches and rainbow trout from 12-22 inches with beautiful fish being the norm. A small creek (full of brook trout) also runs through the property. Anglers fishing here should be sure to bring a camera for the fish and the scenery. 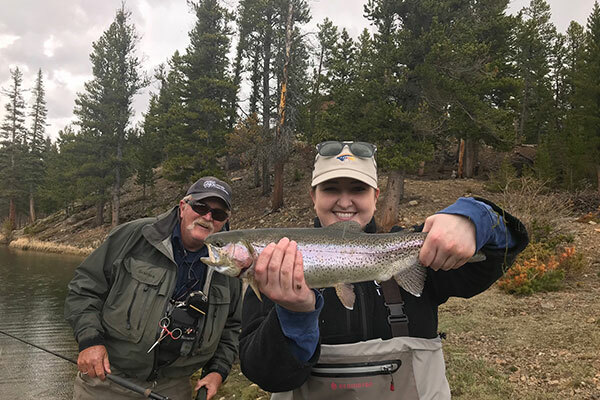 A great guide trip option for a trip in late May and June is during the runoff season in Colorado — this lake will fish well through the summer and into October. 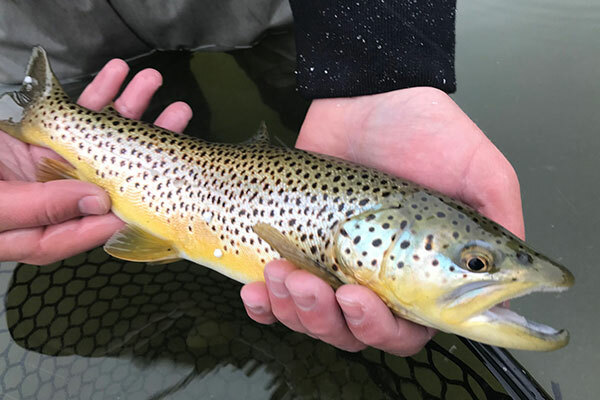 This location is perfect for anglers wanting a truly beautiful setting to fish, or for trout bums looking for beautiful brook trout, bows, and solitude. Ice-off at the big lake; hungry trout cruise the banks. This spring brook trout has beautiful color and a big appetite to match. Morning on one of the Colorado High Mountain Lakes. One of the few but beautiful brown trout that inhabit the lakes. 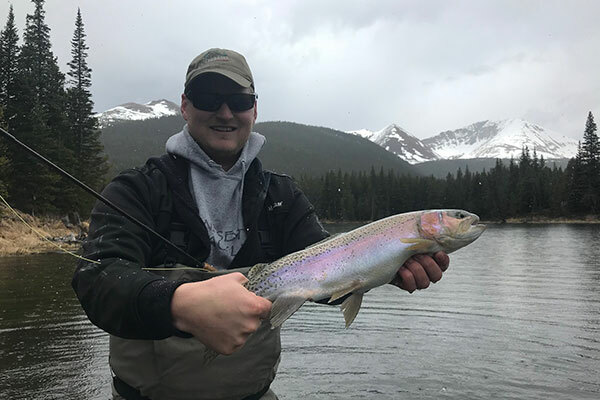 Nice rainbow trout from this private high mountain lake. Hooked up guided fly fishing on lakes in Colorado. Tying on a fly at one of the lower lakes on the 4th of July. A great day to be fishing to fishing trout.